*I received this book from the very sweet author in return for an honest review. Since witnessing her parents' murders at the age of eleven, Phoenix's only purpose in life has been to uphold her mother's dying words- to be strong and survive. But surviving outside of The Walls- outside of The Sanctuary- is more like a drawn-out death sentence. A cruel and ruthless city, Tartarus is run by the Tribes whose motto is simple, "Join or die." Refusing to join and determined to live, Phoenix fights to survive in this savage world. Trusting no one, she lives as a rogue, fending only for herself. Then in a moment of rash judgment, she breaks all of her rules to save a child, and in that moment her life is turned upside down. When the rescue mission goes awry, Phoenix is captured by an underground group who claims no allegiance with either the Tribes nor The Sanctuary. 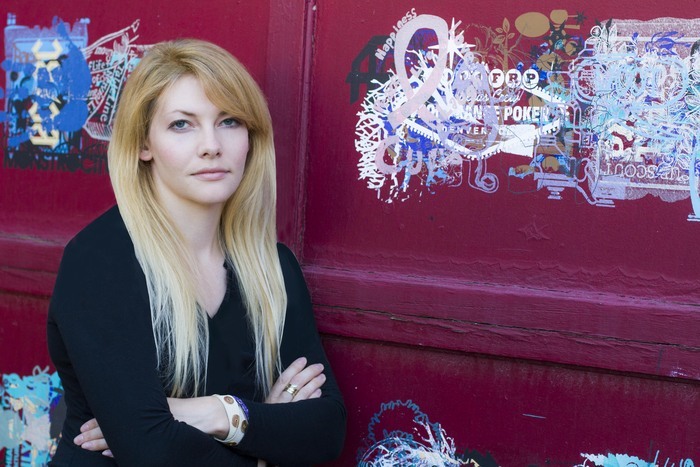 She finds herself in the most dangerous game of survival she has ever played. In her captivity, only one person- the handsome and oddly sympathetic Triven- shows Phoenix something she has never before experienced: kindness. While warring with unfamiliar emotions and still skeptical of her captors' motives, Phoenix quickly realizes that these people may just hold the key to her lost memories. But who can she trust, when no one can be trusted? Not even herself. The thing about Dystopian novels is that they're always faced with comparison to other popular Dystopian novels. The Divergent series was the "next Hunger Games", it happens and I think that it's just the easiest way to explain these kinds of novels... So I'm going to be doing exactly that, sorry! 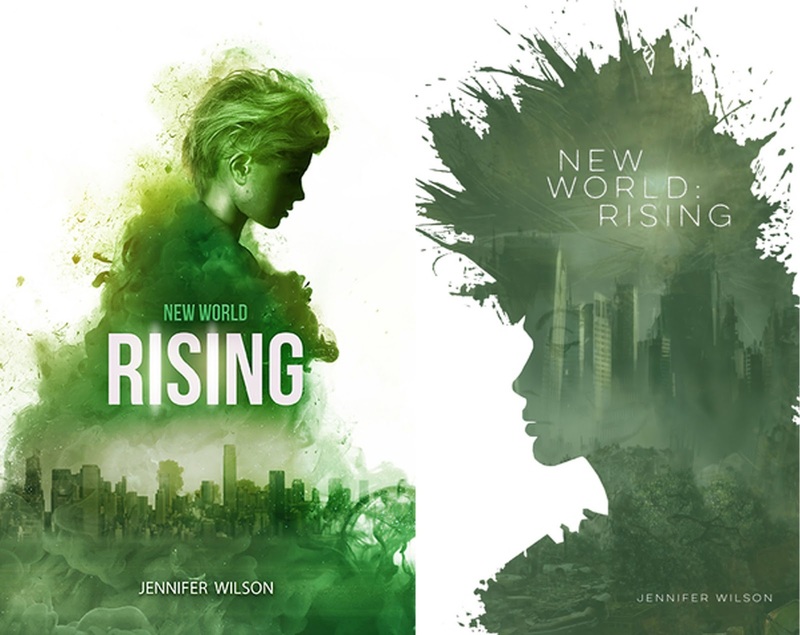 Rising is the first novel in the New World trilogy by Jennifer Wilson. My first thought about this novel was "Divergent", and I honestly couldn't help myself. The book is set in the city of Tartarus, which is basically dilapidated and although we kind of get a history lesson, exactly what happened to cause all of this is slightly foggy. Within the walls of the city are Tribes, each Tribe has certain personality traits or physical aspect which helps them be identified as a member of one of these Tribes. The main character goes into detail about each one early in the book, and the author even provides sketches at the beginning of the book to help with visualization. Even with the similarity, I couldn't exactly recommend this to lovers of the Divergent series, because the situation within Rising is far more brutal and you definitely wouldn't want to be aligning yourself with any of them or buying merch with the tribes names on them, that's for sure. The book also reminded me a lot of The Host by Stephenie Meyer, and you'll have to read it to understand why (otherwise I'll give away too much of the plot) but basically the main character finds herself in a situation where she is considered extremely dangerous and disliked by a majority of the other characters. Rising follows the path of a seventeen year old girl called Phoenix, I couldn't help myself but laugh when I read this, not in a mean way, but mainly because it was seriously 'hit the nail on the head' type stuff. The second book in this trilogy is called Ashes, and I instantly saw an image of Phoenix 'Rising' from those very 'Ashes'. I understand that it was done on purpose and is maybe something you're not supposed to snort at, but I found it hard to take the name seriously after that. Phoenix isn't exactly a character that you instantly fall in love with. She is alone in the city, not affiliated with any of the dangerous Tribes, and so for a large portion of the book you rely on just internal monologues and backstories, which is fine, as long as you connect with the narrator. Phoenix insists that she's a 'hard' and 'callous' person, but there isn't a whole lot of evidence to support that, in fact, I kind of thought that, considering all she'd been through, she was kind of a soft person to say the least. The basic plot, without giving too much away is that Phoenix's parents were once part of The Sanctuary, which was a safe haven away from the city of Tartarus. Something happens within those walls which causes Phoenix's parents to leave, taking themselves and her into a seriously dangerous and messed up environment. Within Rising, Phoenix is introduced to some other characters who had also lived in The Sanctuary and who had chosen to leave as well, but what the novel kind of fails to explain is why they did this. Over the course of the story you find out that there is a lot of military presence and a lot of control, a heck of a lot of control, but what's never mentioned is why it would be better to leave those walls and walk yourself back into Tartarus where you'd be raped, killed, and have all your possessions scavenged within seconds, where food is scarce, where there are barely any safe hiding places, no medical attention, and where you're in constant danger. It was hard for me to imagine, and I had no reason to be on either side of the argument (either "Yeah, take down The Sanctuary!" or "Nah, bro, bad idea..." as there wasn't really enough information. That being said, and after writing this review I've realised I was far more harsh than I expected to be, I did enjoy this book. I'm a big fan of dystopian novels, cliches and all, so when I was approached to review this I pretty much jumped at the chance. The idea behind Rising definitely intrigued me, and the cliffhanger (why did you do that to me, Jennifer???) will most certainly mean that I pick up Ashes soon (although, if that one ends on a cliffhanger too I don't know if I could wait for Inferno without tearing my hair out...). Rising was full of action and horror, with a bit of a love story as well. Something I loved though, was that the love plot-line was not the focus of the story at all, so it didn't leave me rolling my eyes. It also helped that I have a total crush on Phoenix's love interest, he is a stunning character and I truly wish he was real. I'd recommend this book to anyone who enjoys Dystopian novels, especially if you find some of them a bit unrealistically tame, you will not think that of Rising. Rising is only 205 pages long, so it's the kind of book that you'll probably devour in one setting, I do not recommend picking this up if you're busy! I would give this book three out of five stars (★★★☆☆) I will be continuing this series too and will hopefully have my review of Ashes up soon! This book is set to release on the 5th of January, I'll update this post with links when it is released! I hope that you enjoyed my review of Rising by Jennifer Wilson! Jennifer is a seriously lovely person and a great talent, she is pretty new on the scene, so I'd recommend checking out all her social media links above! Make sure to subscribe and leave your comments below about whether or not you think you'll be picking up this book.